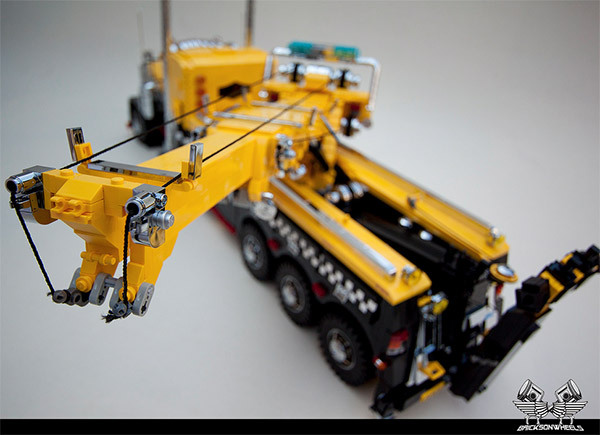 I love a good LEGO build, and this is one of the more impressive designs I’ve seen in a while. 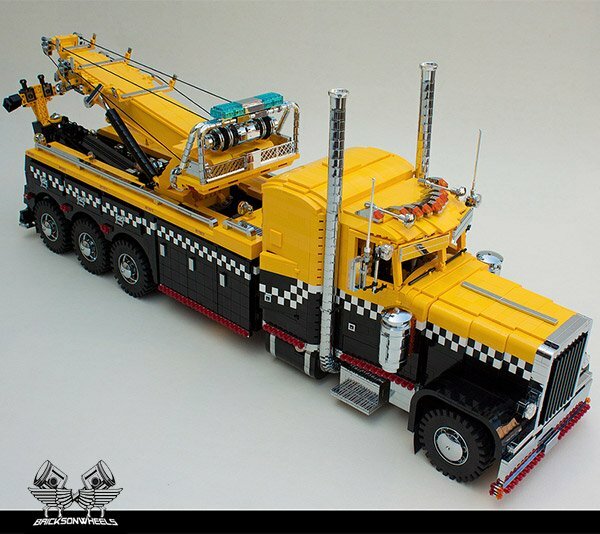 This awesome LEGO Peterbilt tow truck is so detailed that you might just think it was the real thing. 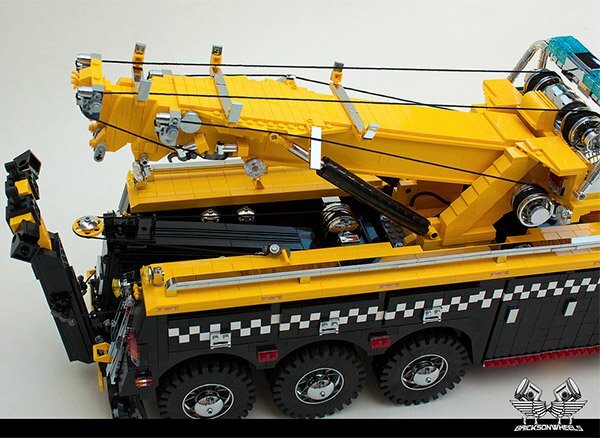 It was built by LEGO vehicle expert Bricksonwheels, and is loaded with amazing minutae, including a detailed towing winch and engine under the flip-up hood. 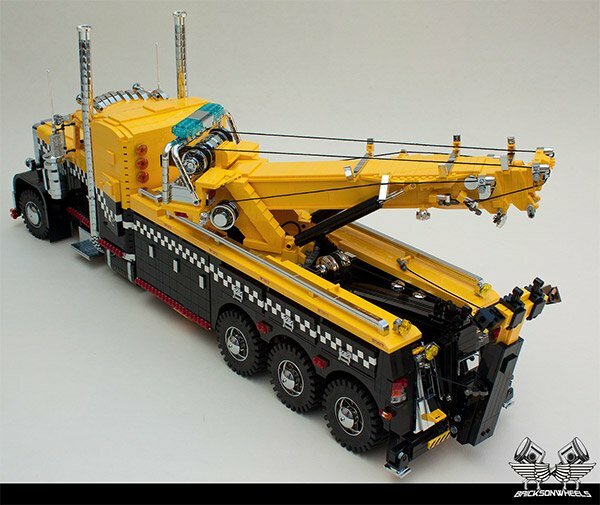 It’s based on a real-world Peterbilt 379 truck, fitted with Miller Industries’ massive Rotator towing crane attachment. 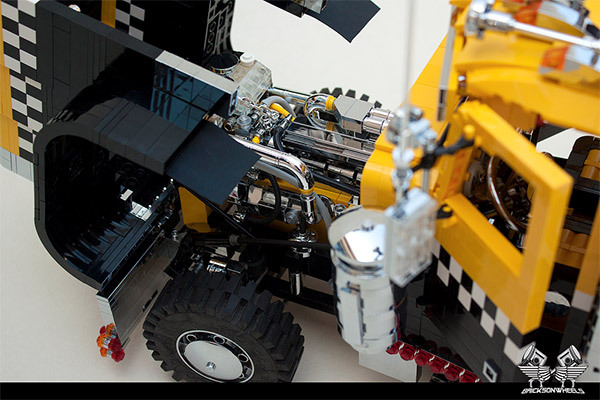 Check out more pics of this epic build and many other incredible LEGO vehicles over on Bricksonwheels’ Flickr page.